Oliver Wendell Holmes Jr., Supreme Court Justice for 30 years, once declared: “I like to pay taxes, with them I buy civilization”. After all, governments require some form of funding if they hope to provide services to society. The most common form of taxation in the modern era is income tax, with the general idea being that people contribute a certain amount of what they earn to society as a whole. 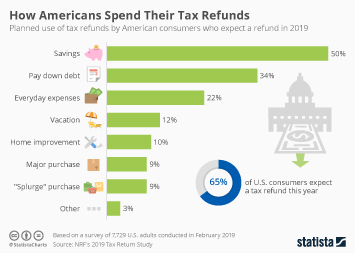 While most people probably don’t particularly enjoy paying tax, only 51 percent of Americans felt that the amount of federal income tax they pay was too high in 2017. This suggests a considerable portion of citizen subscribe to the societal necessity of taxes. In the United States, tax revenue is collected at each governmental level through federal, state and local taxes. Generally, local tax revenues are collected through rates and other property based taxes. However, taxes on income are the preferred method at the federal and state levels. Individual income taxes and payroll taxes were two highest earners for the government in 2015 by far. As in many other countries, one major purpose of income taxes in the U.S. is to ensure a redistribution of wealth. As such, federal income taxes, and most state income taxes, are progressive tax systems. This means that those with higher incomes pay more and thus carry a larger share of the tax burden of society. However, there is no consensus nationwide on the distribution of the tax burden and therefore levels vary from state to state. The state which placed the highest tax burden on the top 1 percent of income earners in 2012 was California. At the other end of the scale, Washington placed the highest tax burden on the lowest 20 percent. At times, taxes are implemented for reasons than other funding government programs. One often cited example is the high percentage of tax on alcohol and cigarettes. Such taxes are put in place in order to discourage consumption of that particular product. However, considerable tax revenues are received as a result, leading to some consumers suggesting such taxes are simply a means of revenue generation. Do you consider the amount of federal income tax you have to pay as too high, about right, or too low? More interesting topics from the industry "Government Finances & Employment"